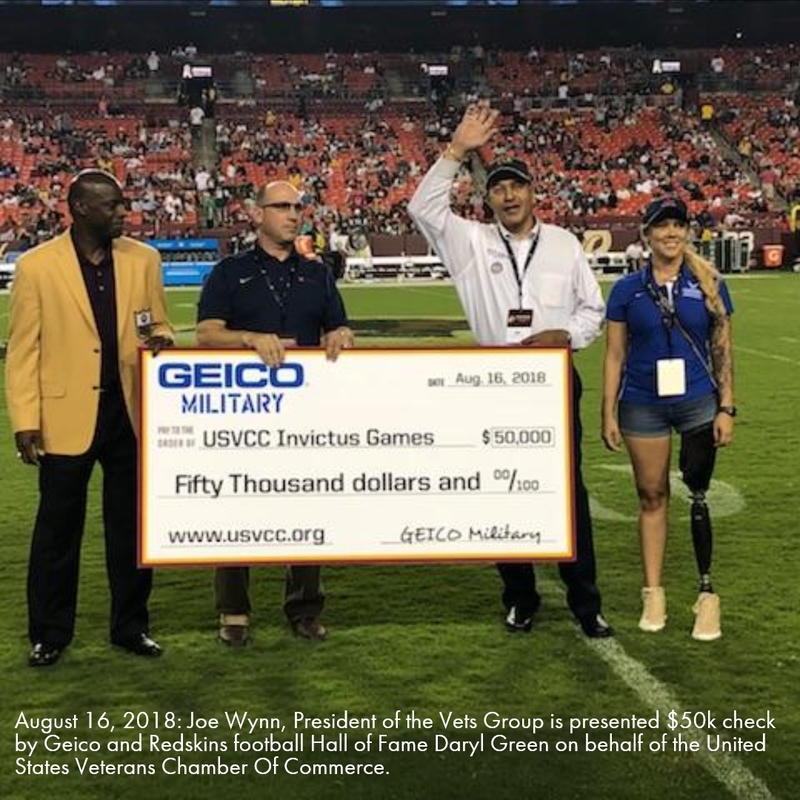 August 16/18, The Washington Redskins and Redskins Salute took a moment and recognized our military partner, Geico Military, in its support of the United States Veterans Chamber of Commerce Invictus Games. The Invictus Games created in 2010, provides Paralympic-style sports competition to today’s wounded, ill or injured service members. On behalf of Geico Military, Joe Wynn, President of the VETS Group was presented a $50.000 check by Geico and Redskins football Hall of Fame Daryl Green on behalf of the U.S Veterans Chamber of Commerce.